What you need to know about adopting mobile payments and a digital wallet as a business in 2015. Picture this– you’re watching a group young adults browse through your store while simultaneously snapchatting selfies to their friends (in true millennial fashion). They find what they want to purchase, and while in line are still plugged in- checking Instagram, scrolling through Twitter, and emailing back a confirmation of a meeting to their current boss. They come up to the register and your employee prompts them for a payment. They pull up the store’s loyalty card, and credit card on their smartphone in less than a minute. They tap their iPhone or new smartwatch on the store’s NFC scanner, get their bag and leave. 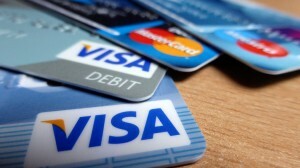 No fumbling in their wallet to find which card they want to use, no cash, no checking IDs. Easy, right? Welcome to the idea of the digital wallet and mobile payment adaptations. While digital wallets are not a new concept, they have begun to gain traction with newly implemented systems such as Apple Pay and other mobile payment systems. The ultimate goal of the digital wallet and mobile payment system is to eradicate cash completely while simultaneously assisting consumers in organizing credit cards, loyalty cards, ID cards, etc. digitally so they do not have to worry about keeping track of them. Digital wallets also provide an additional layer of identity protection and card security through passcode and touch ID prompted access, as well as ways for businesses to verify cards and credentials through the programs. 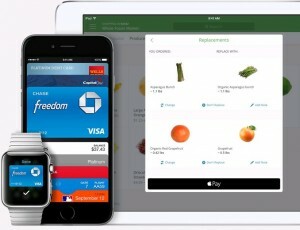 A few popular digital wallets are Apple’s Passbook, Lemon Wallet, Square Wallet, and Zipmark. However, it’s 2015, and the cash register isn’t extinct… yet. Today, mobile payment systems are becoming more popular, especially with the millennial generation coming into adulthood and being able to make their own purchase decisions. Millennial’s are the most informed group of buyers in history for one main reason: they take advantage of the information about products that they can easily access digitally. Over 79% of smartphone consumers use their phones when they are shopping in store to search for better prices, search for reviews, scan a barcode, use or look for coupons, or to make a purchase at the cash register. According to Barbra Thau of Forbes, “By the next decade, the Millennial generation, roughly ages 18 to 34, is expected to displace the baby boomers as the nation’s biggest consumer buying group, generating a projected $1.4 trillion in spending by 2020, according to Accenture research…Retailers and brand marketers would be wise to take note, as the preferences of this buying group will dominate purchasing decisions for decades to come.” This may be an impressive statistic on its own but let’s break it down a little more with additional millennial behavior information. Over 85% of Millennials had smartphones near the end of 2014 and that number has undoubtedly grown since the survey was taken. 83 percent of Millennials sleep with their phones next to them. According to a recent study conducted by Salesforce, 32% of consumers said they associate mobile with ease of use on the go, demonstrating that consumers feel a strong link between that device in their pockets and the connected freedom it brings. 85% of the respondents said mobile devices are a central part of everyday life—and 90% of those aged 18-24 agreed. Millennials live by their phones, and don’t even unplug to sleep. They are essential for consumers’ day-to-day lives. So with a projected $1.4 trillion in spending by 2020, what should be incorporated in the purchase process to better serve Millennials? You guessed it– mobile payment options. If you still aren’t convinced about adopting mobile payments as a business based off of Millennial purchase behaviors, there are still more reasons that using the digital payment systems will propel your company into success. According to a cashstar survey, digital wallet use is associated with a greater likelihood and frequency of mobile purchases and over 1/3 of all respondents made an in-store purchase using a mobile phone. The Mashable “15 Mobile Trends to Watch in 2015” also highlights the importance of mobile payments stating that they will grow as a local and international phenomenon. 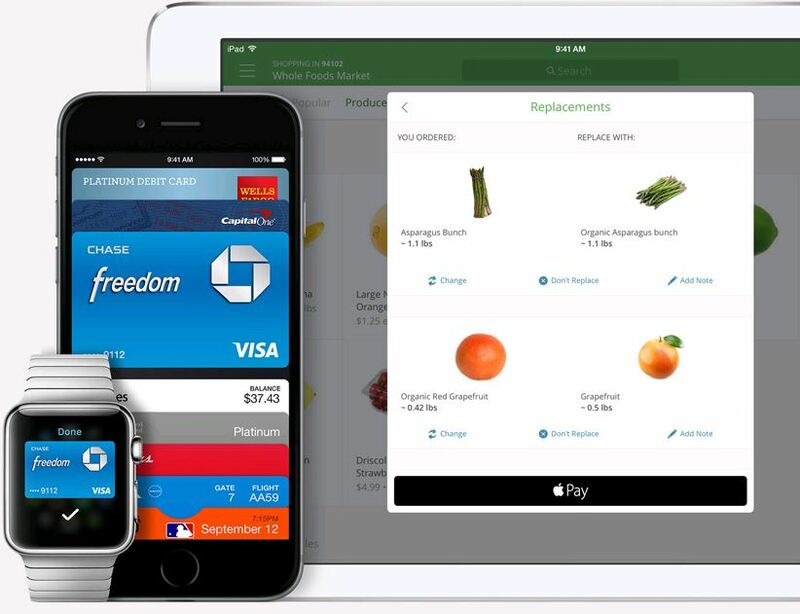 It also says “Only a few weeks after its launch, Apple Pay supports cards that represent 90 % of the credit card purchase volume in the U.S. and can be used at 220,000 outlets – from national retail chains to your neighborhood store. With Starbucks’ mobile payments success as validation,” said Pascal Caillon, general manager of Proxama’s North American operations, “consumers will soon be more inclined to use their phone to purchase low-value, daily items as a starting point. Merchants in these sectors will set the industry standard and will be the ones to watch.” Another important thing to understand when it comes to mobile payment systems is the increased speed of purchases when using the programs. Consumers can get in and get out more quickly, and are less likely to put down the impulse-buy items at the register due to the removal of the extra time to think about if they actually need the item. Millennials have the tendency to be impatient, so with the short amount of time that it takes to use their own digital wallets on mobile payment systems, impatience diminishes. When impatience diminishes, you have happier customers. Now that you’re sold on mobile payment systems, it is important to understand that certain mobile payment software can only be used in certain industries. Find the best fit for your company by taking into account your consumers, whether you are B2B or B2C, financial constraints, as well as potential for growth and objectives. Here are 5 of our favorite to get you started on finding the best digital payment systems for you! Poynt – Smart terminal that supports multiple payment technologies including NFC, Bluetooth, PayPal, QR codes, EMV and magnetic stripe cards. End all. Game changer. Preorder now and see Poynt in your business by mid 2015. 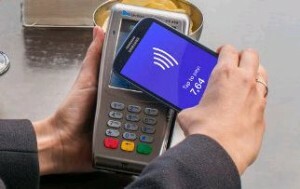 VeriFone & Google Wallet- Wave your smartphone or tap it onto the machine to make your payments through Near Field Communication (NFC) technology embedded in your smartphone. ERPLY– Focused on small/medium sized business, this software brings the power and functionality of a traditional POS system to a hand held device! All POS transaction data entered into the App is automatically synced in real-time leaving all of your books completely accurate. Tabbedout – Great for restaurant and bar owners. 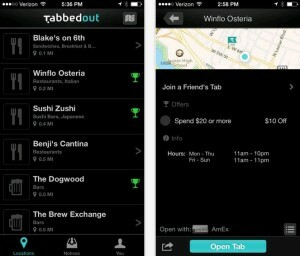 Tabbedout allows you to pay your bar or restaurant tab with your phone! 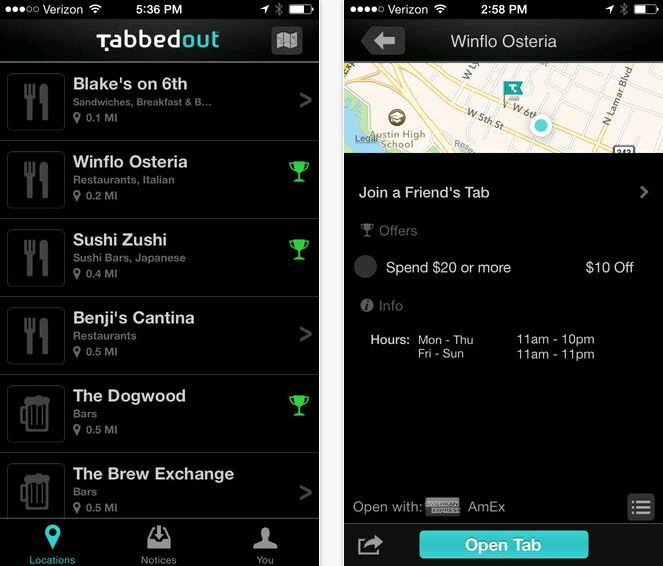 With Tabbedout, your customers do not have to wait to pay, figure out how to split the bill, or leave their cards at the restaurant! Another plus- TabbedOut integrates directly into your existing POS system! Zipmark– A digital checkbook that connects directly to your checking account. Payments are made with digital checks and can be cleared the next business day, more securely and cost less. Currently only available by invitation only. It will be interesting to see how mobile payment software across social, web, and business retailers changes as the technology matures.In the meantime, we will be on the lookout as to how you can better monetize digital wallets from a marketing perspective! Morgan is a graduate from the University of North Carolina Wilmington with a BA in Communication Studies and a minor in journalism. She brings to the table a vivacious spirit and unique creative energy that she uses in all things SayItSocial. When she isn't being an awesome Digital Account Executive, you can find her running the Wrightsville Beach loop with her dog Grizzly, out on the beach, or on her front porch reading her nook.